The payment industry loves its three-letter acronyms, and no abbreviation is more strategic and prized than A-P-I. An Application Program Interface (API) is a code that allows two software to communicate with each other. A payment gateway API can help eliminate any bumps in the road and create a more seamless customer experience. Therefore, it’s important that companies look for payment gateways that provide such services. Today, real-time is at the epicentre for the trend world. Everything and everyone is being driven by the need to be real time in the payment landscape that translates to real-time payment schemes. However, what’s more, important is receiving real-time data about the data that comes along with payment. For instance, knowing where your payment is at any given time. Since more and more functionalities are moving to mobile devices, the logical next step is for more control over payments as well. Specifically, control over payment mechanisms like who, what, where, and when. This will allow users to control their payments and ultimately make for a user-friendly experience. In the digital landscape and more importantly in the payment industry, it essential that people can certify that someone is who they say they are. Considering how many identity-related frauds take place in today’s time this is extremely important to implement. Data is not going anywhere, and the one who owns the data will own the payment industry. Data is where the value of the payments landscape comes from; its the primary fuel that drives value propositions. Since the pool of data keeps getting richer, the ability to create more meaningful insights will also keep increasing. There you have it, the top payment trends for 2019. Various payment gateways in India are already implementing these trends into their systems in the hopes to enhance the user experience. 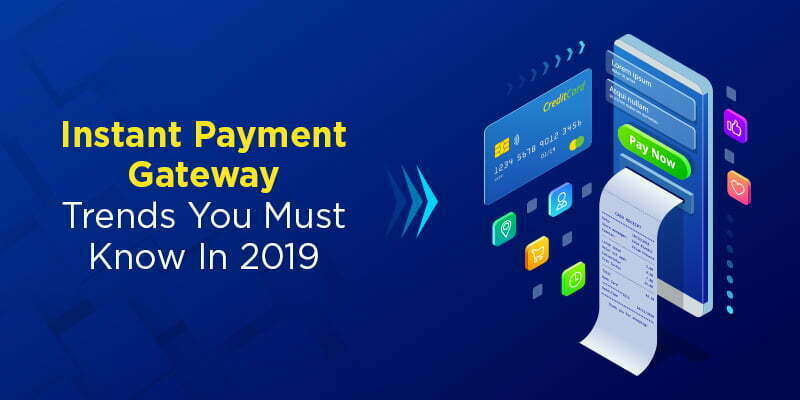 If you are someone looking to partner with a payment gateway ensure that you read about all their features and see if they have implemented the trends as mentioned above.